I do not make my kids eat vegetables. I make them like vegetables, and then they eat them on their own. Now don’t get me wrong, I would definitely force my kids to eat their veggies if they flat out refused, but because I forced them to like vegetables I’ve never had to cross that bridge. Well, the first thing you should know is that children will eat what tastes good to them. Obviously. Next, taste is completely relative. Did you know that some people eat animal tongues, spiders, bee larvae, monkey brain, and rotten cheese? They eat it and love it. And not just a few freaks, but entire nations and regions, including children! We are all human beings with similar taste buds, but they scarf down what we would throw up. That is because taste is mostly acquired. It sounds crazy, but you are capable of eating spiders and liking it, just as your children are capable of eating vegetables and liking it! I was fairly young the first time I tried coffee and it tasted bitter. I never would have tried coffee again had it not become such a popular fad in high school. So as much as I hated it, I forced myself to drink coffee and guess what – now I have to force myself not to drink it! I love the taste! Believe it or not, I have this problem with my two girls, one is two- and the other is four-years-old. I literally have to tell them to stop eating vegetables and finish the rest of the food on their plate. So, how did I get my kids to acquire a genuine love for vegetables? First, I feed them a large variety of vegetables at a very early age. Very young children, like babies and one-year-olds, are easier to feed because they are unaware of all the amazing food possibilities. So, if it isn’t already too late, you should start preparing your own vegetable smoothies as soon as your baby starts eating baby food. If your children are older and have already decided against veggies, you will have to implement Plan B. Employ the following truth: all food tastes better when you are hungry. No I don’t starve my children, but I do place vegetables on their plates at the beginning of each meal before any other food item is brought out. Most parents make a single cardinal mistake. They fill their child’s plate with everything at the beginning of the meal when their little one is the hungriest. 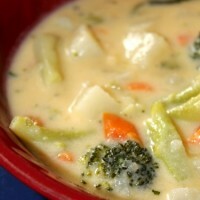 While vegetables taste great, they may not look as good as let’s say Mac-N-Cheese, strawberries, and buttered bread. So, when their child is so hungry he will literally eat anything, he digs into his Mac-N-Cheese, next his buttered bread, then his strawberries, and finally when he is so full he could burst, he starts eyeballing his veggies. Bad news. Even if cake was the last thing on his plate it would not be as warmly received as it would have been had it been the first thing he ate. Just by serving the veggies first, when your children are the hungriest, you will greatly improve the odds that your children will eat them without a fuss. Stick to Your Guns, It REALLY Works! If all that fails, you are just going to have to dig in your heels. Ultimately, kids need the nutrients so passing on veggies cannot be an option. You will need too come up with some creative forms of motivation to get the ball rolling. You don’t want to go negative, but let’s be honest, kids can like veggies if eating veggies helps them avoid punishments. The good news is that if you follow through in the short term, you will save you and your children a lot of heartache later. That is because once your kids starting eat vegetables on a regular basis, whether forced or not, they will begin to acquire a taste for them. I have successfully introduced vegetables to several children other than my own. Every one of them despised veggies in the beginning and now every one of them loves them. I simply put the veggies on their plates and informed them that they could not eat anything else until the veggies were all gone (usually just a small bite or one carrot in the beginning). I hope these ideas help! If you have some suggestions of your own, please leave a post below. Thanks Jana, that is an interesting veggie to like! Hope my tip helps. I would love to take a look at your blog, but I didn’t see it in your profile. Hopped over from the UBP. And I have to agree that kids eat what they are accustomed to eating! Lots of studies show that most people need about ten taste of a food to learn to like that food. My kids eat most anything put in front of them. Starting at age two, they had to eat the number of veggies they were years old–so at age 2–2 veggies per meal, age 3–3 veggies per meal, ect. Now as teenagers, they are willing to try anything. Of course, they all have things they don’t care for, but that is the exception instead of the norm. Anyway! Nice to meet you. Thanks for the great comment. I’m glad to know what kind of results I will enjoy when my girls get to their teens. I know how much easier it will make their life in the long run when they learn to love healthy foods. Thank you for visiting for the UBP and thanks for your kind comment. This post is great and I agree with every word 110%!!! Excellent information here. I hope you have a great rest of the weekend and have fun partying! We started early too. My husband and I already had healthy eating habits before our daughter was born, so it was easy to get her to eat fruit and veggies right off the bat. If there’s no junk food in the house, then there’s no option to eat it. She now loves avocado like it’s candy! She has to eat the rest of her dinner before she gets more avocado. I definitely need to cut out the junk food. Luckily my kids are all too short to see where I keep the goodies. We do the same thing with fruit. They have to eat all of their dinner before they get them so fruit is like dessert to them. I do hide veggies in meals, just to give them the extra nutrients. I add vegetable purees to sloppy joes, donuts, and mac and cheese. That soup you make sounds really good. Thanks! Thanks for visiting my site! I loved your veggie post! My trick is similar to yours. As I making dinner, I place raw veggies and ranch on the counter. Usually, stray kids will smell the meal cooking and come running for food. Instead of listening to their pleas of starvation, I direct them to the veggies on the counter. Many times, by the time the rest of the meal is ready, they have already consumed all of their veggies! I did the veggie plate yesterday and today for snack. The kids were starving, so they scarfed down carrots, sugar snap peas, and even raw broccoli! Thanks for stopping by. I agree, you have to be persistent with children. Since a VERY young age my children have been served veggies EVERY day. Some days go better than others. Despite this both of my children have proven to be picky eaters. However, with consistency son, age 8, eats almost anything and he will always try new food. I think with time and patience my daughter will also broaden her palate. I am teaching my children how to cook healthy food which also helps introduce them to new foods. Yes, when my kids help make the food, they will usually eat it. Pizza is the best. I will cut up all these different veggies like bell peppers, zucchini, and spinach. She wants to put everything on her pizza! Thanks, I am sure it help. It seems to work like magic at my house. It is so funny because now my girls prefer veggies to the main meal and I almost have to coax them away from their veggies to get them to eat the rest of their food. Please let me know how it works for you. Thanks for your tips on having the children eat more veggies. Mine had always loved veggies as young tots but not so much not that they are older. We have a few stand bys that they will eat so we have them almost every night. When a less made veggie is made they are asked to at leat give it a try as taste buds change with age. 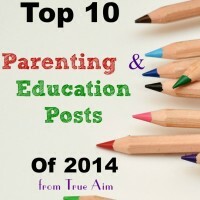 Thanks for linking up at tip toe through tuesday! My kids are pretty stubborn about veggies, so right now I sneak them in. I mix pureed carrots in with spaghetti sauce (for example) along with very finely chopped (in food processor) broccoli (and/or cauliflower)and very finely diced peppers and mushrooms. I’ve also added pureed squash and spinach in place of (or addition to) the pureed carrots. You can do the same thing with pizza as well. I sneak them in too! Have you heard of Deceptively Delicious. I use it quite often for my preschool kids. They have no idea that there are tons of veggies in their sloppy joes, mac and cheese, and even their blueberry muffins! Thanks for stopping by! My two year old will down anything that is in a smoothie form. she will eat fruit and veggies in their original form, but if I’m feeling she’s low on her healthy foods for the day I’ll make her a green smoothie and she’ll down it. Yum! I make green smoothies too! My girls love to pick dandelions from the yard to put in their smoothies. Great ideas! I’m fortunate that my kids LOVE their veggies! They’re less picky than I am! And they REALLY love them plain and raw! None of them like salad dressings (and I don’t bother asking them anymore). That is great! 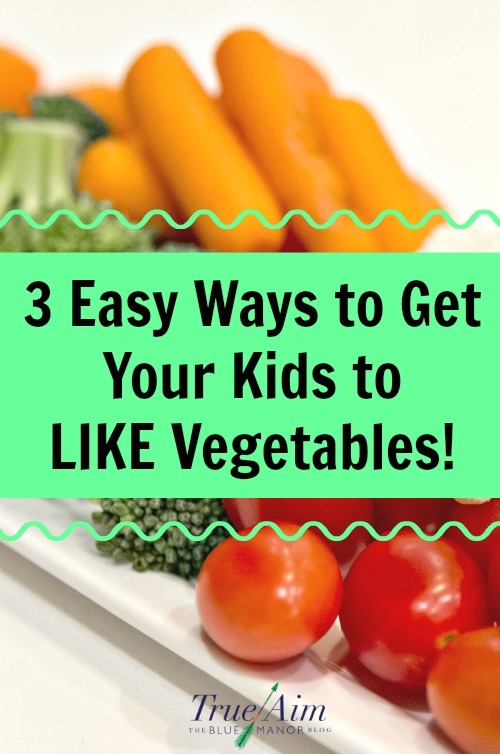 I bet it is not just chance that your kids love veggies, but a good mom that lead them to good choices. I agree! Kids liking & eating their veggies is not an accident. Parents control the food. Starting early, feeding them when their hungry, introducing a large variety of fruit & veg and, not only offering healthy options but not buying the junk are all key. When my son was a toddler, he couldn’t get enough crackers- he liked fruit and veggies but would snack on crackers first (or pester me for them). I just stopped buying crackers. Kids can’t shop, so make good choices for them. My kids are great eaters now- they still have different preferences- one doesn’t like peppers and the other doesn’t like dips or condiments but they eat a huge range of fruits and veggies and fish (not breaded & battered but real grown up food). That’s a great tip for offering veggies first at meal times. I also watch the snacking- fruit & veggies are freebies but not too much and nothing filling too close to meals. I think a lot of children have too many snacks. It helps to have a hungry child when introducing new foods. We don’t do soup very often so I need to try that more. Thanks for the thoughtful comment. In our playschool, we serve the veggies 1st time.. like an appetizer! They almost always get eaten. I also make green smoothies which become “monster milkshakes” for the preschool age! I am going to have to steal your name for green smoothies. My kids will be a lot more excited to drink a “monster milkshake”. Isn’t it funny when you call something a fun name they want to eat it more? I call boiled eggs “dinosaur eggs” and they eat them right up! You’ve given me a lot to think about. My middle daughter has fought us with food every step of the day. I was trying to do the force thing, and she went 26 hours without eating because she had to have one bit of either her chicken, vegis or potatoes. After that horrific experience…as well as every battle we were having at the table at EVERY meal…we read a couple books that said your kids will eventually enjoy a variety of food if they see you enjoying a variety of food. Put forward healthy options, and they eventually will eat it. I do the green smoothies and sneak them in, but I might have to revisit your suggestion. We decided peace at meal time was more important than the battle. The book said that in food, the more you battle the more you get what you are trying to avoid. 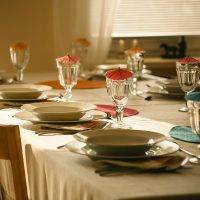 My husband’s sister had a severe eating disorder too, so food battles…we’re just not sure what to do. That is hard when they are doing it at every meal and you want them to at least eat something. I think all moms have an issue with their child’s eating habits at one point or another. We just want to shove food down their bellies because it makes us feel that they are full when they eat a lot. 🙂 I used to get in a lot of battles with my oldest, but now I don’t worry as much. All my kids rarely get sick. If they don’t want to eat anything at dinner time that is fine, I don’t stress it. But they have to eat their veggies before anything else. My daughter was extreme like this. I already had 2 boys who loved veggies and ate a reasonably varied diet, so I know it wasn’t anything we were doing. In infancy, she started throwing up anything that tasted bad. If she needed an antibiotic like Cipro for any reason, we often had to change one to another more palatable so she would keep it down. At 12 mos she went on a 4 day no food strike, she was done with baby food (not uncommon) but didn’t want anything else we offered! Fortunately she was still BF so she got nutrition, and gradually we found a limited number of things she could eat. …these things keep cutting me off. I could tell many more stories, but the gist of it is this: I learned some picky eaters ARE born, not made. Good news is that she’s nearly 22 now, has had no eating disorders (boy did I worry about that). We tried the one bite rule once, didn’t work at all. She is still picky but her palate has expanded to a reasonable number of choices. And no, she is not on the Autistic spectrum nor does she have any other significant sensory issues! I have a 4th child who has a little of that, not towards food though, so I am familiar with the signs. Yikes! I agree, some are more picky than others. I know of children that have weak stomachs and they will throw up if they try something they don’t like. I’m glad she is healthy and happy. As mom’s we probably worry more than necessary. Thanks for commenting. 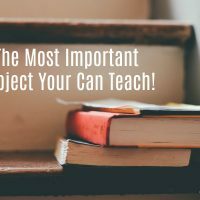 There is some really good stuff in this post. It is bad, I often give into my extremely picky eater–just so she’ll have some calories in her system. After reading this I am going to be strong (again) and only offer good foods until she eats them. I’d love it if you’d link up at my Teaching Time for Toddlers Tuesday party. I had a very picky eater in my preschool. He would gag when eating carrots! Now if I give him only 2 he asks if he can have 3 or 4. Usually, it only takes a little while of sticking to your guns. Thanks! I will check out the new party. Oh, how I love this line: All food tastes better when you’re hungry. I often serve veggies first, and love the results! I also like to talk about different food groups and let my children list the types of breads, proteins, fruits, and veggies they’ve had during the day. Thanks for sharing this at Teach Me Tuesday–I hope we see you again next week!! That is a great idea. I need to talk more about the different food groups at lunch time. Thanks! When the twins were spoon-fed it was easy. We made our own purees and the ratio was 2:1 (vegetable:meat). Now that they are 27 months, they have developed their own tastes. My daughter is my meat eater and veggie avoider, except for first breakfast (they wake up very early- so they get a puree of sweet potato, wild blueberries and unsweetened applesauce) and when we are running errands or at the park they get a veggie pouch (those wonderful fruit and veggie combo pouches). I’m going to try veggies first on the plate and see if that works. However I have a feeling that my son (who is the opposite, he’ll eat veggies, but doesn’t care for chicken, beef, eggs or fish) will fill up on veggies and then not eat any of his protein. TWINS! My daughters are the same as your son. However, they love fruit and so I use that as a dessert. So they have to eat a little bit of the main protein and then they can have a little fruit. If they want more fruit, they have to eat a little bit more protein. I have to give you credit, having twins would be a huge challenge! Thanks for your input. I like your point about giving the veggies (or unpopular food) first, when they are the most hungry. But I’m afraid I would cave in… I just don’t have the heart to force a food they might genuinely not like. I just imagine, “What if it were me and someone forced me to eat sushi before I could eat my meal? YUCK!” But I could definitely do this with small bites at least. Because I know they can handle at least one bite of anything. Thanks for getting me thinking! 🙂 And thanks for linking up with From the Mouths of Moms! That is true. However, with vegetables you don’t have to feel bad about making them eat it. I wouldn’t make them eat Sushi 🙂 Little bites are a great start. I think this method really helps them acquire a taste for vegetables and helps establish healthy eating habits. Thanks for your input! Great tips! Veggies as an appetizer work really well. My 7-year-old is especially fond of raw cucumber. My mom suggested introducing veggies and fruits as his first foods. Since my friend with a slightly older baby had started him on rice cereal and he immediately became seriously constipated, this sounded like a good idea! We did applesauce first and then broccoli. I think this helped him develop a taste for veggies–although he did become more picky when he was around 4 years old and now only likes about half the veggies we eat. Many veggies taste better with seasoning, yet a lot of parents think babies are supposed to eat only plain foods. I wanted my kid to eat what we eat just for convenience, and we like seasonings. We used a hand-powered grinder to make some of our dinner into baby food; it’s easy! Red & Green Pockets is a fun recipe for getting lots of peas and tomatoes into a kid. Mine also will binge on baked squash or sweet potatoes. When he does that, he’s eaten so much vegetable that we relax about getting him to eat more than a bite of whatever veg we serve the next day–it all balances out. P.S. I came here from Works-for-Me Wednesday, and I think you forgot to link back to it–I don’t see a link. Hi Becca, I always love when you stop by. You offer so many great ideas. The Red & Green Pockets sound yummy. My 2yr old likes dip so I really want to try it like that. Thanks again for your thoughtful comment. I’m reading the book “French Kids Eat Everything” and it has been super helpful! Stopping by from Mom on a Time out Hop! I have never heard of it, but I believe the Title. My aunts and uncles are French Canadian and they will eat anything! I would be interested in what the book says. Thanks. My daughter is 20 months old and can definitely be very picky. My problem is I am concerned that she is still too young to comprehend the aspect of “I don’t get to eat anything else until I eat this”. Do you think this is true? I will definitely start trying to feed her more veggies though, and definitely before anything else! Great idea! Hi Pamela, I used to care for a boy who was 13 months and he responded very well, but I only started with a few bites at a time. So I would show and tell him to eat one bite of veggies and then he could have something else like a sandwich. I pretend to eat the veggies and then I would get the sandwich or the fruit and pretend to eat that to show him what I wanted him to do. When he ate a bite of veggies I would only give a little bit of sandwich and if he wanted more, he would have to take another bite of his veggies. Slowly, he learned what was expected. I did the same technique with my daughter, she is 2 now and loves her veggies! I hope I answered your question. Please let me know if you have anymore! Thanks for stopping by! Great tips! I made sure to start my son on veggie baby food first and then slowly add in other things. I really think he actually likes the veggies the best now! Hopefully, I can continue this as he gets older. We also serve veggies first (usually a green salad). All of our kids (5, 3, 2, and 9 months) like most vegetables. Janine, So funny you shared this last weekend when I had the Copy-Kids:Eating Fruits and Vegetables DVD posted! Did you check it out!? It’s awesome and so entertaining for kids. With all your great ideas that that DVD my kids better start loving all their veggies! haha 🙂 Thanks for sharing on Saturday Show & Tell at Cheerios and Lattes last weekend! We love having you join us and hope to see you again this weekend! See you soon! I saw that. That’s why I linked up this one. I thought the DVD was so fun. I totally different way to get kids to eat veggies. I think the more you expose them to healthy habits, the better. Thanks for reading Mackenzie! I’ve linked up over at your blog and I will be back later to browse all the fun links. What great ideas! 🙂 Thanks for visiting my blog and for your kind comments. Hi Lisa! 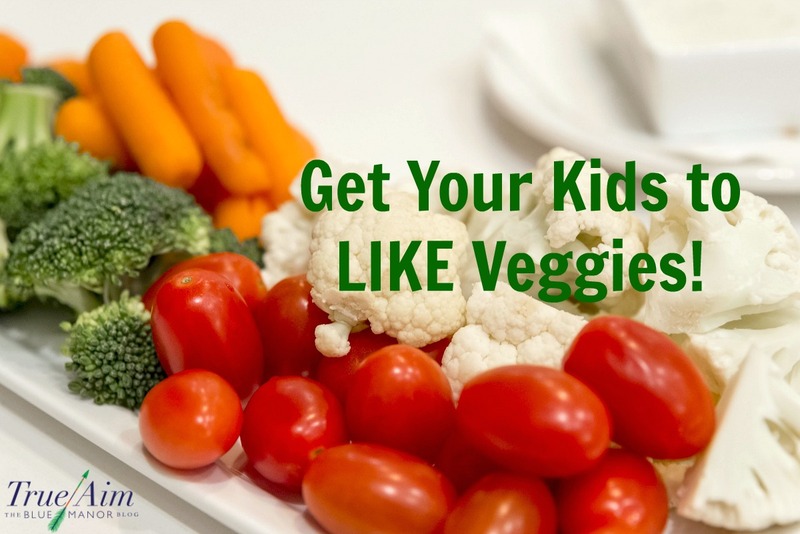 I hope I can help parents make their kids like veggies more. Thanks for stopping by! Great post and oh so true! I am your newest follower (returning your follow). I look forward to more visits. Thanks Meryl, I am so glad my kids love veggies now. Great pointer about putting veggies first on the plate! I have also found it useful to strike the idea of ‘kid food’ and ‘adult food’ from our vocabulary and our kitchen. What a great post!! If all your ideas fail you can do what I do for my husband (not my child) and sneak vegetables into foods. Since he never learned to like them and refuses to eat some (though I do insist he try them like I insist our daughter do) it is one of the only ways I get some into him. Vegetable smoothies…GENIUS!!! Going to make and get our one year old son familiar with veggie smoothies. Thanks for the great tip. I agree, starting early is definitely the key! I have one kid who loves her veggies and the rest barely tolerate them. I will try the serve-first method and see how that goes. Thanks for giving me some new ideas! I am definitely going to try starting with the veggies! I never thought of that before! I was looking at your pin boards, and saw the one with the dice & peas – I think my 3 year old would love that, too. I didn’t care for veggies as a kid, but my kids didn’t mind veggies. I gave them lots of vegetables from an early age. It was only natural they would like them. I love these tips and I am going to start using some of them TODAY! Leah @ Simple.Home.Blessings. I just leave cut up veggies on the counter and mention that I need these for a recipe and please don’t eat them and usually within a half hour they have magically disappeared.